To provide food for miners and settlers streaming west during the gold rush and land rush of the mid- and late-1800s, market hunters slaughtered deer, elk, bear, buffalo, bighorns, pronghorn and any type of bird that could provide meat. Fish fared no better as nets and even dynamite were set in rivers and streams. Polluted water flowing from mining operations also devastated hundreds of miles of rivers and streams. Colorado's wildlife was decimated and many people thought some species were gone forever. Fortunately, farsighted conservationists and hunters decided that strong action was needed to assure survival of wildlife in Colorado. In 1870, the Colorado Territorial legislature passed the first wildlife protection law: It banned the use of nets for taking fish. In 1879, the first wildlife protection agency was established. 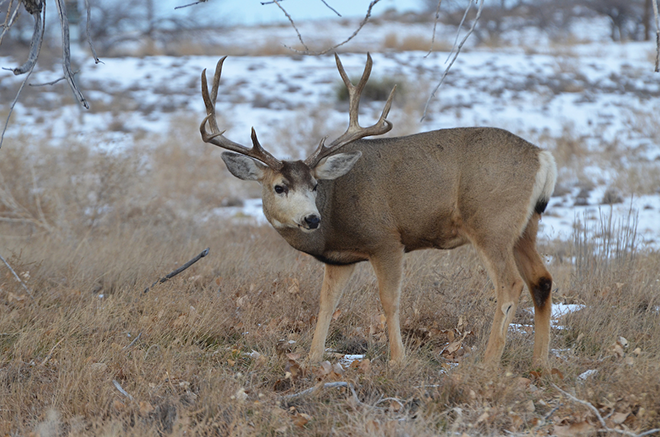 With a law-enforcement agency in place, the legislature was able to set seasons and bag limits for most species. 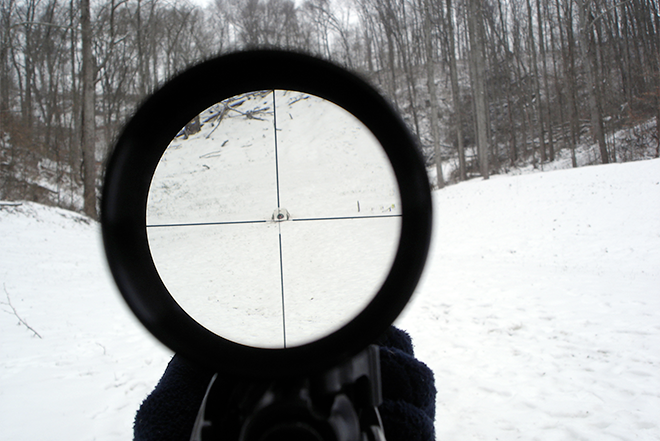 Some of the most far-reaching laws included bans on hunting pronghorn and bighorn sheep. The bans remained in effect for more than 50 years. The efforts paid off. Today, Colorado is renowned for its wildlife. Hunters come from throughout the country to hunt geese, turkeys, deer, elk, pheasants, pronghorn, bears and mountain lions. Rivers and streams attract anglers from around the world. 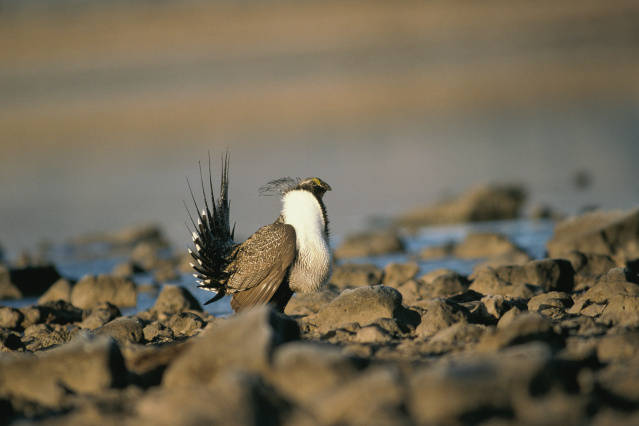 Birders travel to Colorado to watch the mating dance of sage grouse, the stop-over of sandhill cranes in valleys throughout Colorado, and to look for the hundreds of bird species that live on the eastern plains. Other wildlife watchers hope for a glimpse of big game animals, bats, the elusive lynx or the solitary moose. Many of the early wildlife conservationists also were hunters, so much of the early effort to restore wildlife focused on game species. 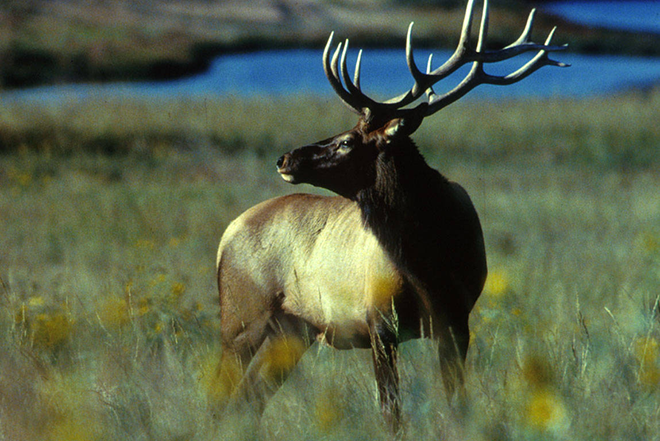 By the 1950s, Colorado's deer and elk herds were healthy; hunting for pronghorn and bighorn sheep was opened. Fishing improved as rivers and streams were cleaned up and as hatchery techniques improved. Starting in the late 1960s, scientists and the public recognized that the health of wildlife provided an indication of the overall health of the environment. Biologists began to study various habitats to determine the importance of vegetation and landscapes to wildlife. By the 1970s, the agency, formerly known as the Colorado Division of Wildlife, was no longer just a "hook and bullet" outfit. The agency broadened its role to become the caretaker for all wildlife species in Colorado. Biologists were employed to learn about non-game species and the habitats that supported them. They also started looking at endangered and threatened species and how those animals could be restored or reintroduced. 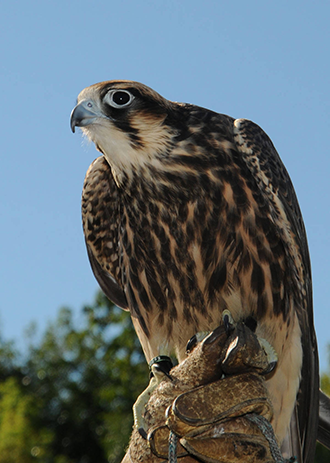 One of the most important efforts brought the peregrine falcon back from the brink of extinction. Starting in 1978, the wildlife agency joined other agencies across the nation in an effort to save the peregrines. Because of DDT use, eggs were brittle. When a falcon sat down to incubate, the eggs would crack and the embryos would perish. With that knowledge, wildlife biologists found peregrine nesting sites and went to them when the mother was out hunting. "Dummy" eggs were placed in the nests and the real eggs were taken to a laboratory where they were hatched in captivity. After the chicks were born they were placed back with the mother. This was no easy job. Peregrines build nests in cracks on sheer cliff walls. Researchers often rappelled hundreds of feet to get to the sites. The project was successful, and today peregrine falcons live throughout Colorado and their numbers are growing. The effort is still hailed as one of the most important environmental victories in North America. Since then, the agency has worked to help restore populations of river otters, Canada lynx, the black-footed ferret, the greater prairie chicken and others. Currently, Colorado Parks and Wildlife is engaged in a major effort to protect wildlife habitat throughout Colorado through purchase of land, habitat improvement efforts and with conservation easements. Not only will those conservation efforts help game animals, they'll also provide more elbow room for sage grouse, red fox, eagles and most other wildlife species in Colorado.